The Best Zombie blogs from thousands of top Zombie blogs in our index using search and social metrics. Data will be refreshed once a week. Zombie Paradise About Blog Zombies In My Blog is an online blog that covers everything in pop culture, Geek Culture and horror. We're all about Zombies and Other Monsters. Facebook fans 373. Twitter followers 1,074. 2. ZOMBIE! REAL HORROR ROCK! About Blog This blog provides us different zombie photos, videos, gifs. Facebook fans 210,036. Twitter followers 240,760. San Francisco, CA About Blog Zombies' is regarding gatherings, movies, books, music, theater, speculative science, and games featuring the flesh (and/or brain) eating dead. Facebook fans 1,124,726. Twitter followers 492,724. About Blog Zombietale AU is a comic on Zombies. Guest post are welcome! Canada About Blog Operating in Southern Ontario, Zombie Survival Camp is Canada's #1 resource for zombie apocalypse preparedness. Since 2013, our team of subject matter experts have been touring the country, setting up shop and training people in wilderness survival, self-defense and self-reliance. Facebook fans 12,564. Twitter followers 171. About Blog This is a Community to talk about survival against zombies, whether it being how you would make your way through a horde of zombies, or if your group decides to go against you and it becomes a riot! Possibly you're off the grid and you need to learn how to survive off the land? We have it all. Come here and be ready for some good, well thought out scenarios and in-depth discussions! Facebook fans 1,124,956. Twitter followers 27,867. United States About Blog Zombie Go Boom is a live action zombie series that is essentially a combination of Mythbusters and The Walking Dead. Facebook fans 52,197. Twitter followers 39,781. Mountain View, CA About Blog Comprehensive up-to-date news coverage about Zombie Apocalypse, aggregated from sources all over the world by Google News. Facebook fans n/a. Twitter followers 213,507. Kyle, TX About Blog My Zombie Blog is dedicated to zombies. The author Rafael MZB writes about AMC and The Walking Dead. About Blog A blog dedicated to the monthly black-and-white comic book series chronicling the travels of Rick Grimes, his son Carl, and other survivors of a zombie apocalypse. Facebook fans 5,957. Twitter followers n/a. United Kingdom About Blog A blog with guts. Join me as I take a journey through the zombie genre with reviews and commentary on films and television that embrace the apocalyptic walking dead. My goal? Just to review every zombie movie ever made! Facebook fans n/a. Twitter followers 2,634. About Blog Female authors writing zombie and horror fiction. Girls kicking zombie butts - why should the guys have all the fun? About Blog All about zombies and braaains. Following back! 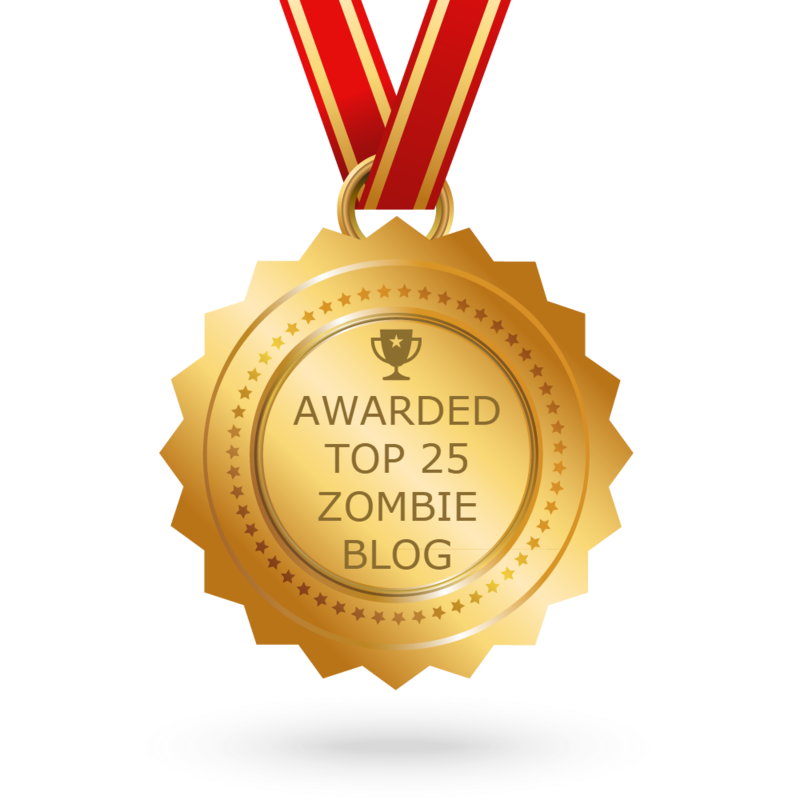 CONGRATULATIONS to every blogger that has made this Top Zombie Blogs list! This is the most comprehensive list of best Zombie blogs on the internet and I’m honoured to have you as part of this! I personally give you a high-five and want to thank you for your contribution to this world.